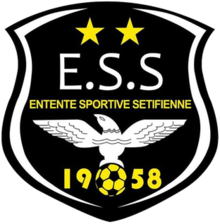 ES Sétif has not submitted any formation. 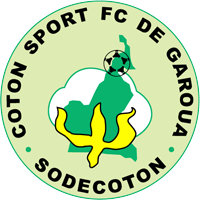 Coton Sport has not submitted any formation. Salah Salhi tries to pass the ball to the strikers... but misses! Alexandre Abega passes the ball towards the centre... but the opponent catches it. Hassen Fergani passes the ball towards the centre... but the opponent catches it. Joel Womé passes the ball towards the centre... but the opponent catches it. Saphir Houamel tries it with a strong shoot... but missed. Saphir Houamel in a tackling... and wins it! Rachid M'Bolhi tries to pass the ball to the strikers... but misses! Philémon Ahidjo in a tackling... and looses it! Jules Moukandjo tries to pass the ball to the strikers... but misses! Jules Moukandjo in a tackling... and wins it! Philémon Ahidjo tries to pass the ball to the strikers... but misses! Saphir Houamel has the chance to shoot... and cannot even target the goal. Cross by Jules Moukandjo... into the clouds! Saphir Houamel has the ball and sees his opponent in front of him... and looses the tackling. Saphir Houamel passes the ball towards the centre... but the opponent catches it. Cross by Cédric Akono... into the clouds! Cédric Akono in a tackling... and wins it! Cédric Akono passes the ball towards the centre... but the opponent catches it. Cross by Rachid M'Bolhi... into the clouds! Michel N'kono passes the ball towards the centre... but the opponent catches it. Chemseddine Ziani shoots... but the goalkeeper can turn the ball around the goalpost. Vivien Djoum passes the ball towards the centre... but the opponent catches it. Vivien Djoum in a tackling... and wins it! Cross by Raïs Lalmas... into the clouds! Vivien Djoum in a tackling... and looses it! Raïs Lalmas tries to pass the ball to the strikers... but misses! Rachid Abdellaoui passes the ball towards the centre... but the opponent catches it. Joel Womé runs towards his opponent and wins the tackling! Joel Womé in a tackling... and looses it! Raymond Djetei tries to pass the ball to the strikers... but misses! Vivien Djoum shoots... but the goalkeeper dives to get the ball. Header by Philémon Ahidjo... that was close. Saphir Houamel in a tackling... and looses it! Jules Moukandjo passes the ball towards the centre... but the opponent catches it. Tooor fur ES Sétif! Rachid Abdellaoui legt auf Hassen Fergani ab, der nur noch einschieben muss. Fabrice Ahidjo passes the ball... and the ball is out. Cross by Hassen Assad... into the clouds! Hassen Assad passes the ball... and the ball is out. Hassen Assad in a tackling... and wins it! Hassen Assad tries to pass the ball to the strikers... but misses! Jules Moukandjo in a tackling... and looses it! Raymond Djetei lets taken away the ball. Jean N'Kono passes the ball towards the centre... but the opponent catches it. Header by Jean N'Kono... that was close. Cédric Akono shoots towards the goal... but into the arms of the goalkeeper! Tooor fur ES Sétif! Chemseddine Ziani legt auf Rachid Abdellaoui ab, der nur noch einschieben muss. Yacine Houamel passes the ball... and the ball is out. Fabrice Ahidjo passes the ball towards the centre... but the opponent catches it. Cross by Fabrice Ahidjo... into the clouds! Rachid Abdellaoui has the ball and sees his opponent in front of him... and looses the tackling. Vivien Djoum shoots... but the goalkeeper can turn the ball around the goalpost. Bachir Bouteflika passes the ball... and the ball is out. Jules Moukandjo is placing the ball. He seems to be a bit unsecure... and kicks the ball far aside of the goal. Chemseddine Ziani is shown the yellow card. Chemseddine Ziani lets taken away the ball. Chemseddine Ziani passes the ball towards the centre... but the opponent catches it. Hassen Fergani tries to pass the ball to the strikers... but misses! Jean N'Kono passes the ball... and the ball is out. Vivien Djoum passes the ball... and the ball is out. Cross by Bachir Bouteflika... into the clouds!